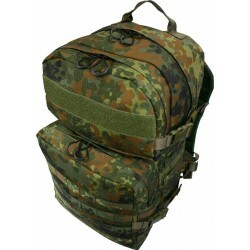 In this versatile multipurpose bag, the Large M allows the user to organize his equipment. The bag can be opened in the upper third with a double zipper can be opened and closed. Rubber pullers are attached to the zipper sliders for a better grip. These offer good grip even with gloves and are quiet. Inside there is a large rubber loop on the turned side of the body. Opposite, two small loops are attached. There is room for items such as gloves, flashlights, multitool and much more that the soldier or policeman uses on duty. 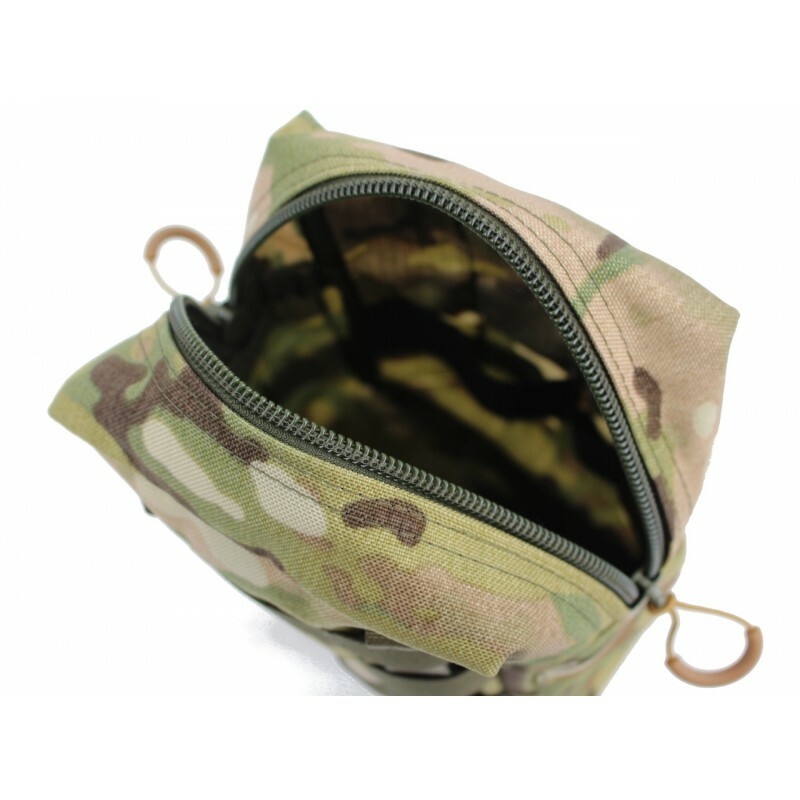 The Zipper Pouch M can be attached to all MOLLE /PAL systems with the fixed faststicks on the back. 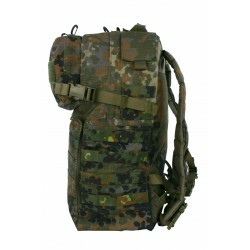 It can be used as an additional pocket on plate carriers, protective vests, Chest rigs and backpacks. 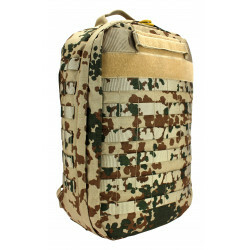 2x3 MOLLE loops are attached on the front to attach small ammunition pocket and Medic bag. 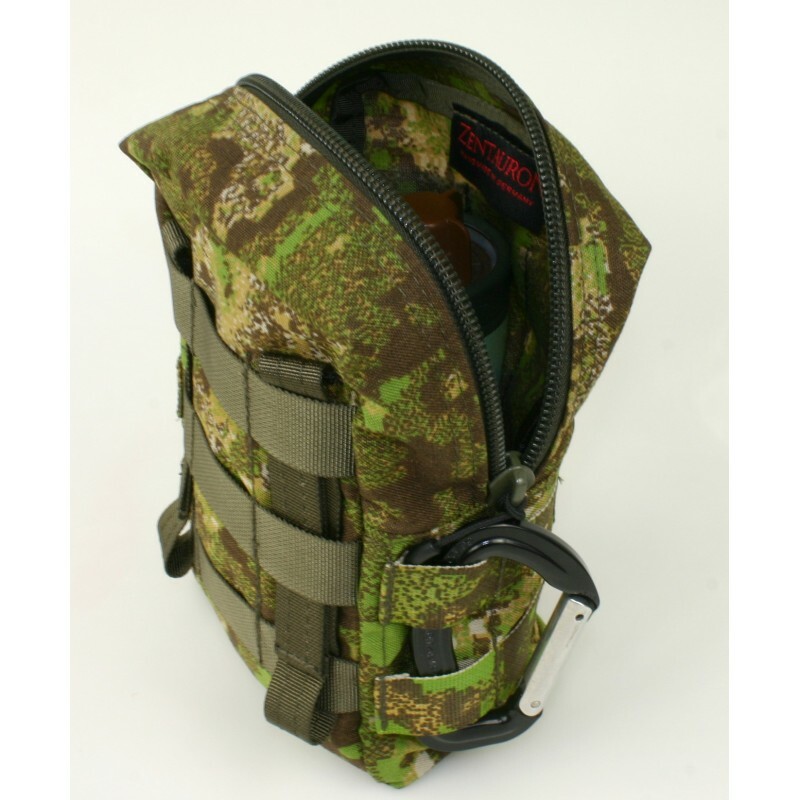 In addition, additional pockets or equipment items can be attached to the MOLLE loops on the side. There is a water drainage eyelet on the floor.